I’m always excited to see a business opened by a community, for a community. Last weekend Hmong Village celebrated its grand opening in Saint Paul, Minnesota, and it felt like the Hmong (pronounced “mung”) had finally found home. If you are not familiar with the Hmong people, here’s a quick history. The Hmong are from southeast Asia. Many were once concentrated in Laos, but they also resided in Vietnam and Thailand. Some are still refugees in their own land, not able to escape the circumstances of war and poverty that exist today. The Ho Chi Minh trail passed through Laos from North to South Vietnam. The CIA recognized in the early 1960’s that to stop supplies, communications and military from moving south on the trail, they needed gorilla forces in Laos to help American soldiers fight the North Vietnamese. A “secret” army of Laos soldiers fighting on the U.S. side was born. It’s estimated that more than 18,000 Hmong died during the Vietnam conflict. In December 1975, the United States recognized the Hmong’s contribution to its efforts in Vietnam, and opened its doors to Hmong refugees. Today over 250,000 Hmong live in the U.S., the largest concentration in California, then Minnesota and Wisconsin. Knowing a tiny faction of this history, I was eager to see what had come of the culture, and what businesses were sprouting inside Hmong Village. Parking on a residential street, I walked one block to an overflowing parking lot outside of the shopping center, and dodged my way between cars to the entrance. 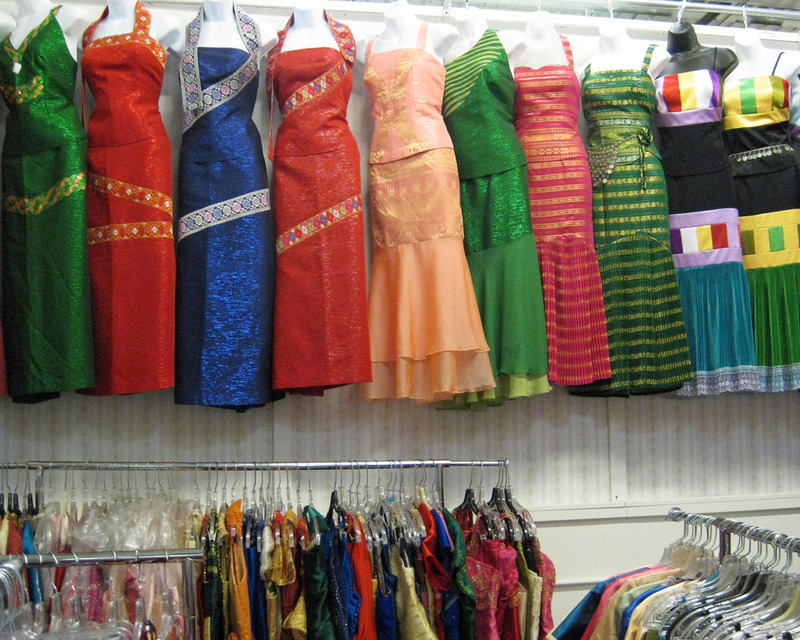 Hmong Village is a former warehouse, and still feels like one. 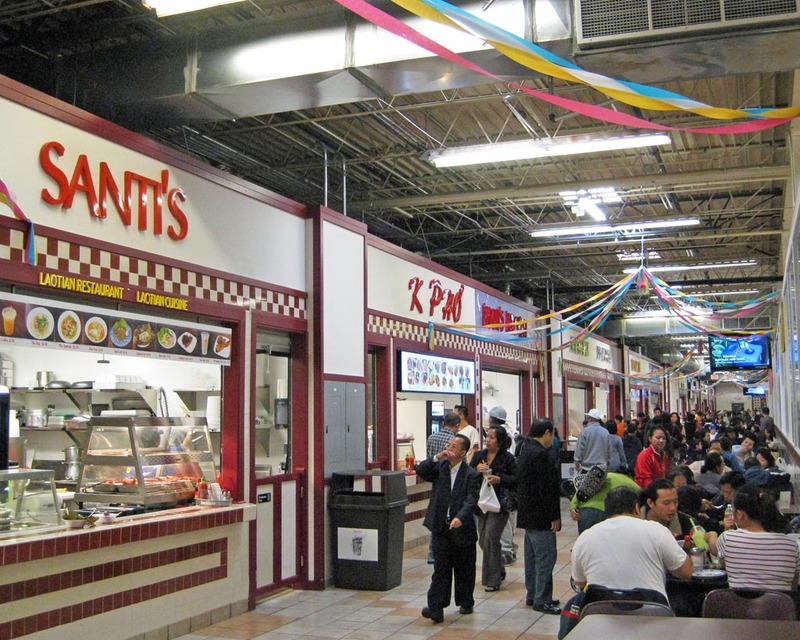 What you don’t expect are the types of vendors that provide the sensory overload. 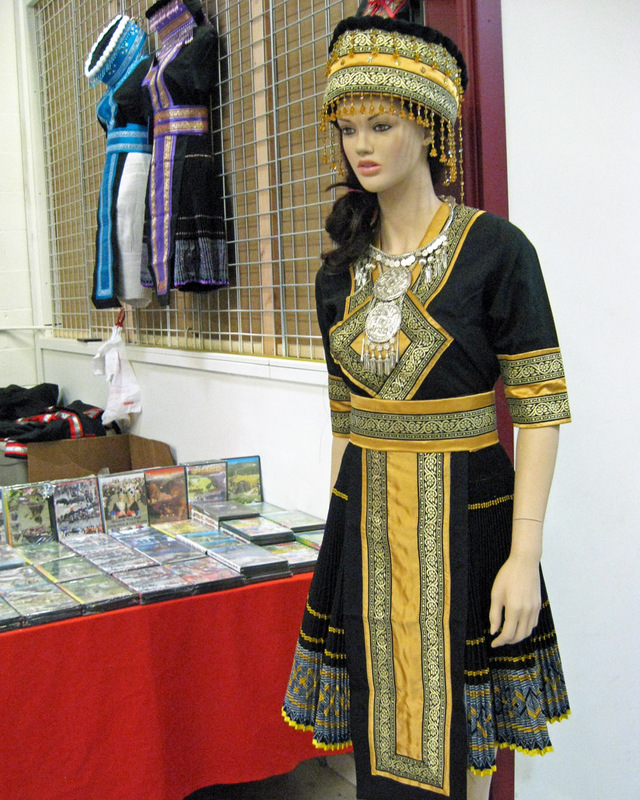 There is traditional clothing, shoes, dollar stores, pots, pans and jewelry stalls. There’s a farmers market, a grocery. You can get your hair cut at one of the small stall businesses. One stall offers eyebrow waxing. There’s even an arcade. The most surprising item for sale were DVDs. 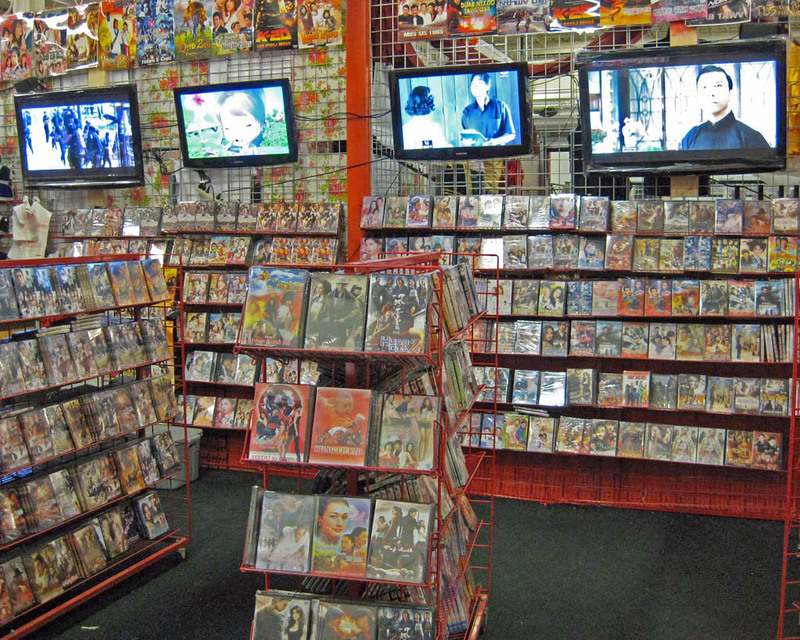 There are about a dozen DVD movie stalls. It quickly became apparent that the Hmong love Asian movies. Most movie stalls had several TV screens, all playing different films. Families wandering the Village would stop and watch a movie for a few minutes, then move on to the next DVD stall, and start the stop-and-watch process all over again. 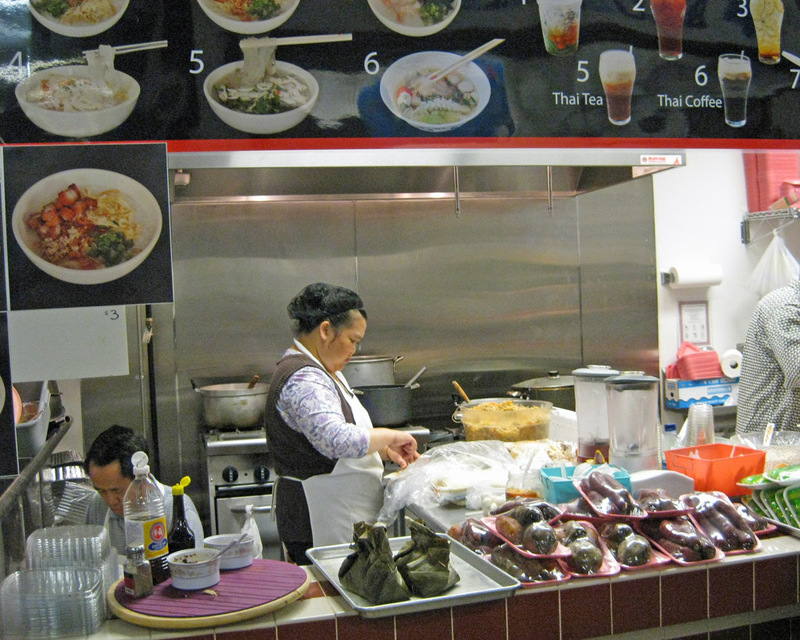 What really makes Hmong Village a destination spot is the food. There are 17 restaurants serving piping hot bowls of Pho, curry noodles, roasted chicken leg, sausage and sticky rice and barbecue ribs just to name a few. There are individual tea houses in certain stalls, and bubble tea vendors. There is a bakery as well, serving croissants and miscellaneous French pastries. I believe I saw a vendor with pizza by the slice, but it was untouched. 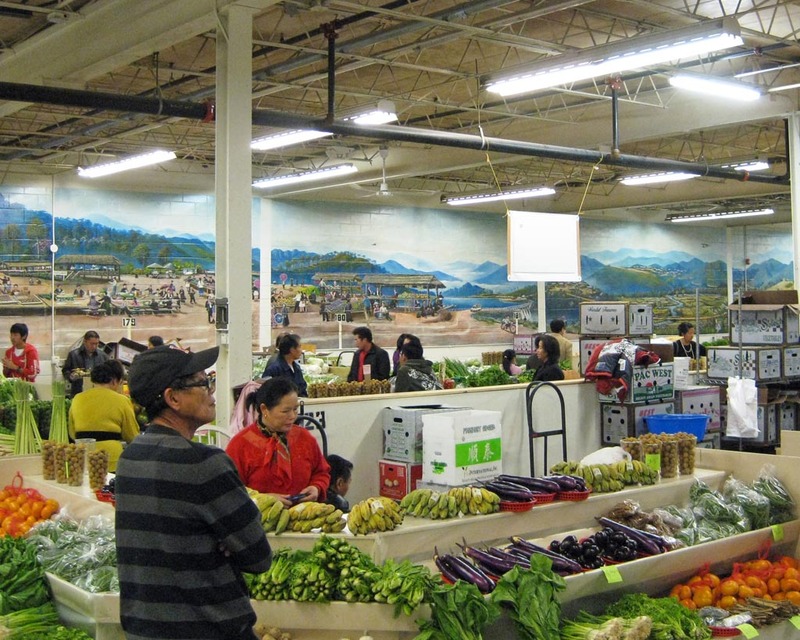 If you have the opportunity to visit Hmong Village, save the farmers market for last. As you stand among the fruits and vegetables, look at the walls. Hand-painted murals of Laos transport you to the old country. It’s when I really took a moment to look at these murals I realized the Hmong have known America longer than we have known them, and they might just be home in this place. Finally. This is a terribly brief summary of the Hmong’s historic plight, so I encourage you to read more about the community on Jeff Lindsay’s site. 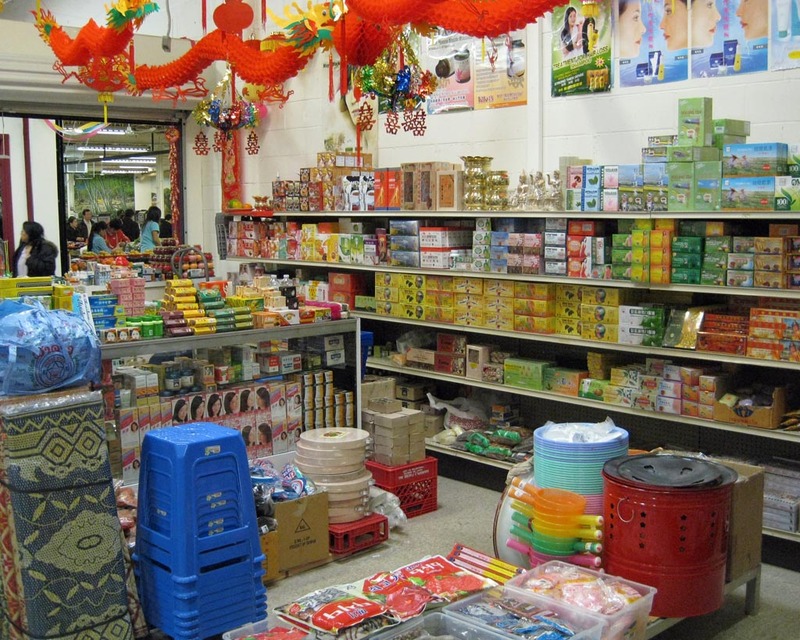 You can also read the Minneapolis Star Tribune’s review of Hmong Village and the Pioneer Press article about the family businesses in Hmong Village. One of a dozen DVD stores! Grocery store with a little of everything. This entry was posted in Photography, Travel and tagged Hmong Village, Minnesota, Saint Paul. Bookmark the permalink.